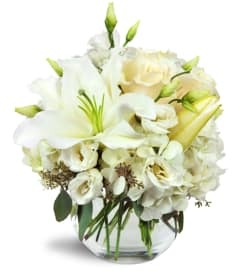 The FTD® Holiday Delights™ Bouquet sparkles with the magic and enchantment of the Christmas season to send your warmest yuletide wishes to every person on your holiday shopping list. 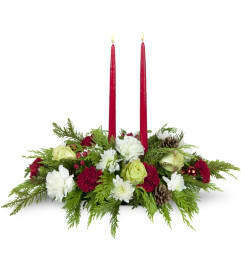 A bold mix of red blooms, including roses, carnations, and mini carnations, are sweetly set amongst variegated holly and fragrant holiday green accents to create an elegant holiday display. 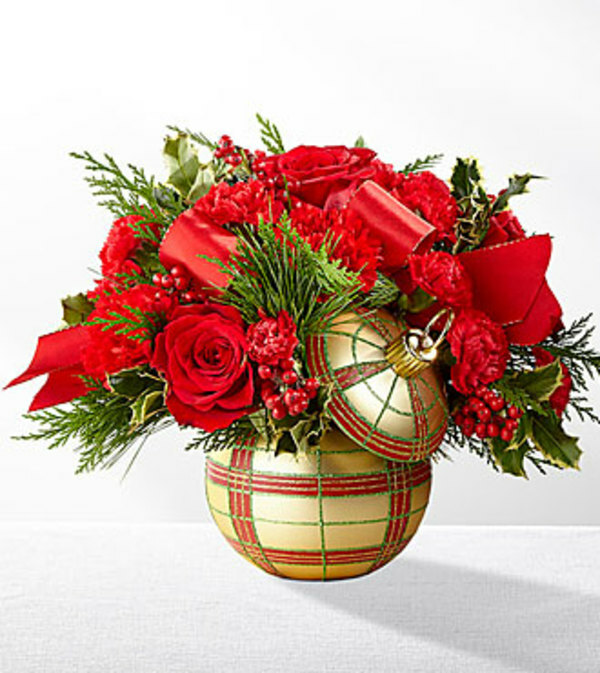 Presented in an ornament inspired gold, red, and green plaid keepsake ceramic vase, intended to become a treasured holiday accent piece for years to come, this eye-catching Christmas bouquet is that perfect gift you've been searching for to help you express all of the love, respect, and gratitude you have in your heart this season.